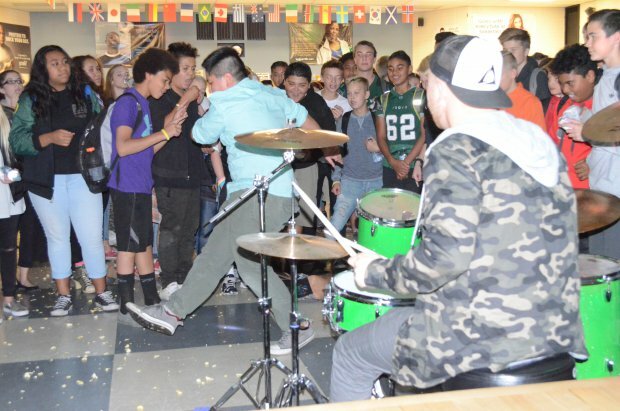 The week of October 10-14, Dixon’s Leadership team and PTA teamed up to put on a “Stomp Out Bullying” event, mirroring similar efforts throughout the country in our ongoing efforts to ensure Dixon is a bullying-free environment. 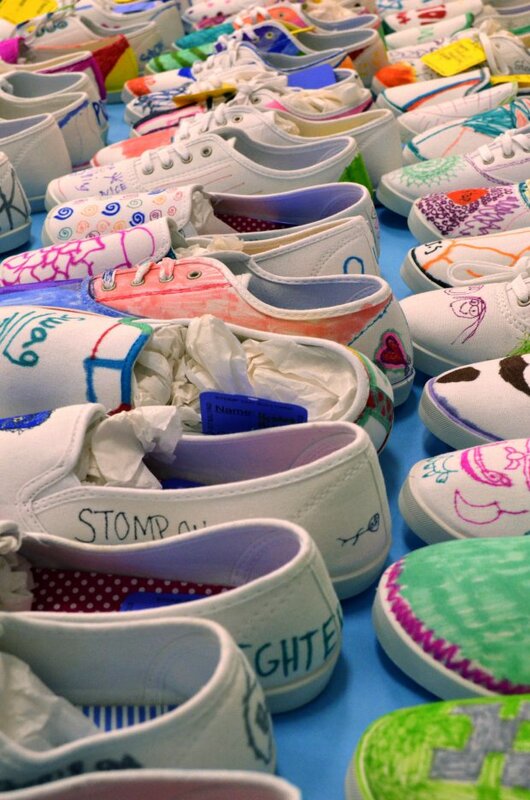 During lunch throughout the week, students were encouraged to enter a shoe decorating contest, where they used Sharpie markers to decorate white Vans shoes generously donated by Shoe Carnival. One of the lunch activities also featured a water bottle flipping contest. 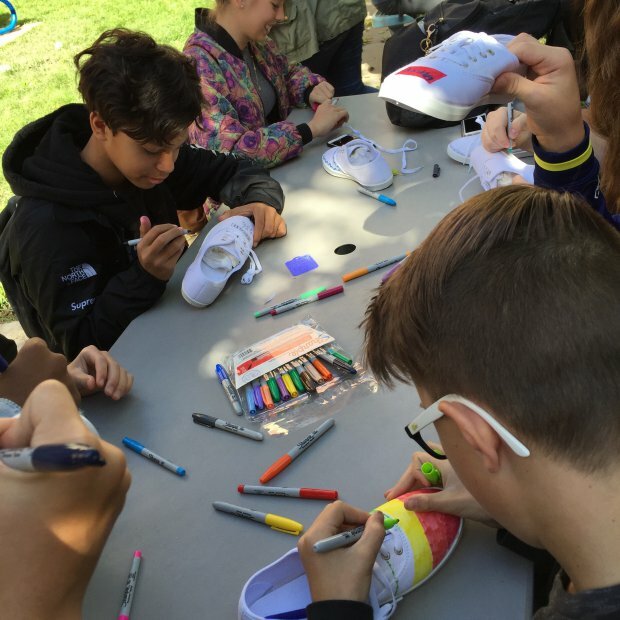 Students decorate shoes with sharpies during lunch outside in the courtyard. 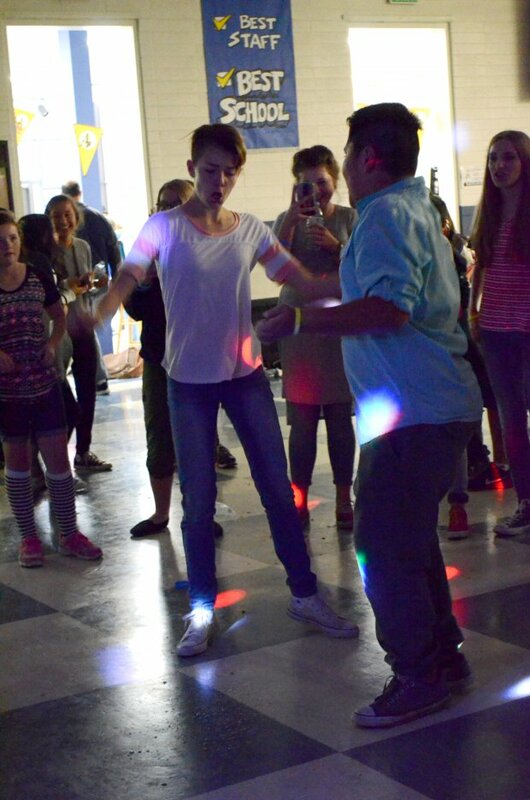 On Friday, directly after school, Dixon hosted a Stomp dance in the cafeteria. 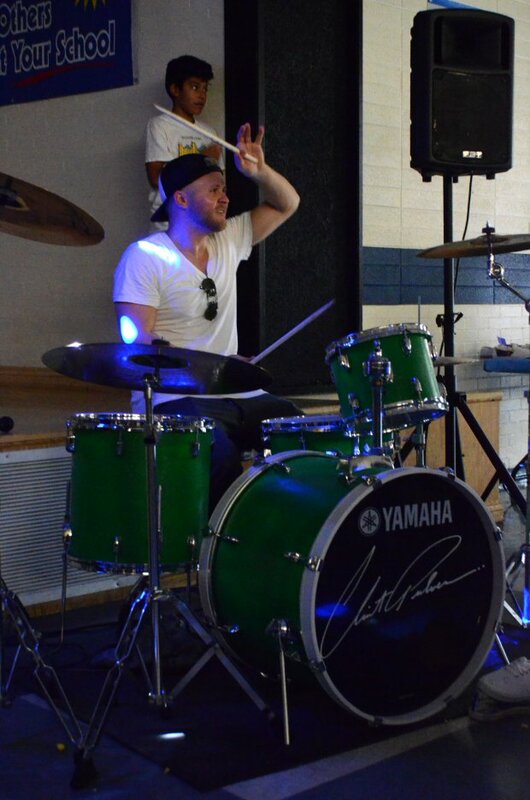 Music was DJ’d by DJ Derek, and UVU Green Man Group’s founder Clint Pulver kept the energy going with his amazing drumming. 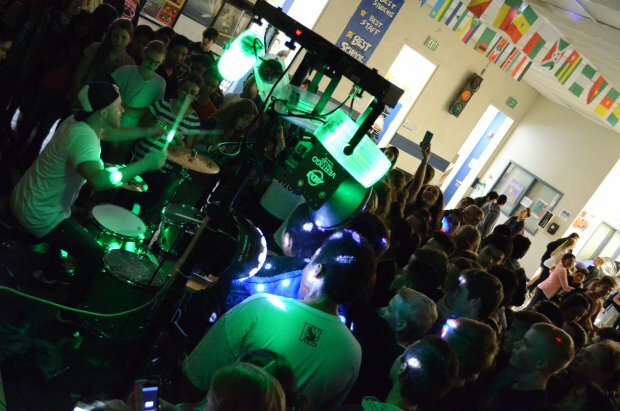 Clint Pulver of the UVU Green Man group serenades our students. Our students got a snack of popcorn and a drink as they entered, and showed off some killer dance moves! 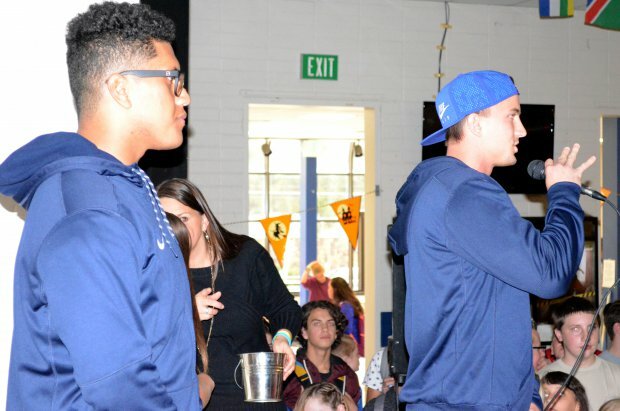 An hour into the dance, a few BYU athletes came on stage to deliver an anti-bullying message to our students, and to get them excited for the BYU football game that night. Winners of the shoe-decorating contest were also announced at the dance. The 7th grade winners were Jasper Feauai and Samantha Higham; our 8th grade winners were Tyler P. and Allie Andrews. 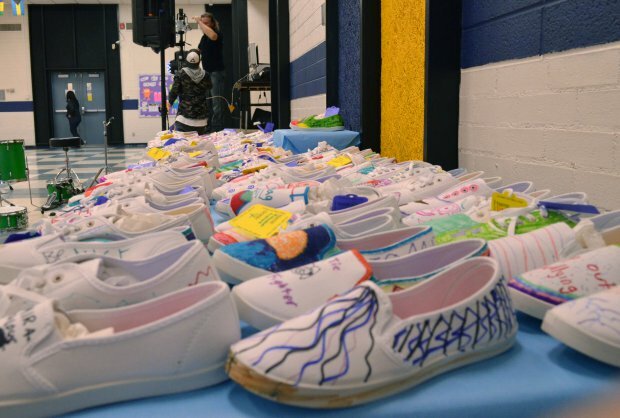 Kelcie Bingham took home the grand prize for her artistic shoes. In addition to this contest, other students won raffle prizes. All prizes were gift cards donated to us by Provo Towne Center and TheResults. Kelcie Bingham’s winning shoe is displayed elevated among all the other shoe entries. We would like to say a huge THANK YOU to the sponsors who made this event possible, as well as to our PTA and our Student Leadership team for doing a great job putting this awesome week together! 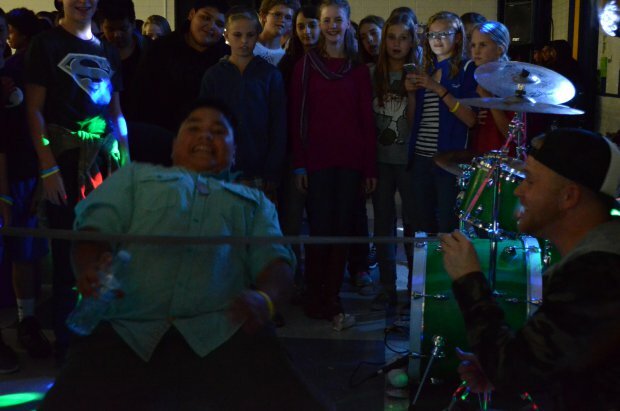 Clint Pulver holds one end of the limbo rope to see who our student champion of limbo is.